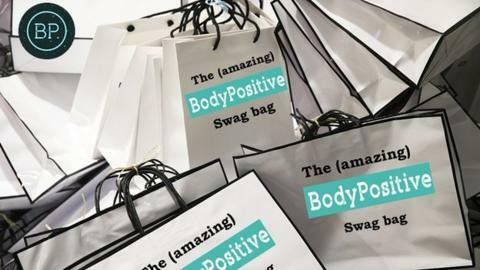 BodyPositive: Do it Yourself Swag Bag! You're pretty much ready for the Oscars, right? But fear not, BodyPositive has come to your rescue. We've got everything you need to create your very own Oscars goodie bag and better still, it'll cost you next to nothing! So if you're thinking of spoiling a mate, or just want to treat yourself, settle back, read this, and we'll get you feeling more bodypositive than any ludicrously expensive fitness package can do! First up, and probably one of the most important ingredients in any swag bag, is of course, chocolate! And as we're catering for the most important celeb of all (that's you), we're not just talking your regular chocolate bar. It's time to live in luxury and try this amazing chocolate truffle recipe... it will definitely satisfy your innermost diva! Hands up if you currently spend far too much money on skin products? Well, that's about to change! Add these great DIY beauty recipes from Wellness Mama to your swag bag, and you'll soon be creating luxurious natural exfoliators, moisturiser and even make-up remover for half the price! We're not all lucky enough to have a celebrity personal trainer to rely on. Here at bodypositive we think creating the fitness plan and staying motivated is just as important as following it. Pop these top tips from Women's Fitness on how to tone up at home into your goodie bag, and you'll be left not only feeling energised and super toned, but satisfied to know you've done it off your own bat! You may think it's a strange addition to the swag bag, but protein is all the rage these days. Whether you eat one pre-workout, devour one after a good gym sesh, or just enjoy one with a cuppa for a snack - these lovely apricot and seed protein bars are not only scrummy but healthy too! Just like the celebs, we all live pretty hectic lives and trying to fit doing something wholesome into our busy schedules can be pretty difficult. But instead of throwing some money at a good cause, find a couple of hours a week to volunteer at a local animal sanctuary such as the Dogs Trust, Blue Cross or RSPCA. You'll get to play with cute animals AND do something good that will leave you feel bodypositive. Win win! We think everyone deserves to feel like a celebrity for the day! That's why this DIY spa day from Cosmopolitan is the final addition to the goodie bag. But there's one difference... you won't be left penniless afterwards! So it's time to invite your mates over and throw a spa day at home - it's the perfect excuse to see the girls, put on some tunes and your whole body will feel amazing by the end!